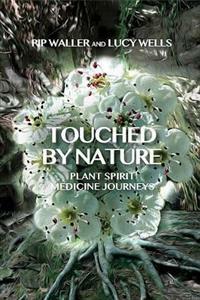 Inside these pages are woven together the voices and stories of many people whose lives have been touched by plants in general and plant spirit medicine in particular. These include contributions from some of the many wonderful herbalists using plant-based medicine in a way that goes beyond the physical, biochemical model. The stories are arranged in chapters that take the reader on a journey to discover this medicine of our time. It is sometimes said that in the time of greatest need there is the greatest help, and plant spirit medicine has certainly emerged at a time of great need and challenge, and it is taking root and growing. The plants themselves, sentient and alive, are calling to many to awaken to a deeper experience of the energy of nature and of our human place in it. This can be felt and understood in direct relationship. The elemental forces that manifest the seasons offer a doorway to move into this perspective. For all the many reasons people may seek out the medicine, there will always be something deep and interesting to learn from an experience of it once we have made the connection. Anyone can learn to communicate directly with plant spirits and befriend them in a way that opens rich dimensions and, over time and with persistence and patience, a quiet revolution of perspective can result. Becoming a healer, however, and practicing as one is a more committed business that requires dedication, perseverance, and sacrifice. It also holds many rewards. Plant spirit medicine offers the healer the framework of an elegant and rigorous methodology within which to access and effectively channel the energy of the astonishing realm of plant spirits. In the unfolding of our own journeys as healers and receivers of the medicine we witness an unfolding of consciousness in ourselves and our patients that offers something truly hopeful for the journey of the planet.